The Rotary Club of Squamish fundraiser in support of the Sea to Sky Community Hospice raised $30.000 for this new facility.. The four-room Community Hospice will be located between Hilltop House and Squamish General Hospital and will welcome Sea to Sky Corridor residents from all backgrounds, faiths, and income levels. Construction is due to begin in 2019. 2000 rubber ducks were sold by lottery tickets. 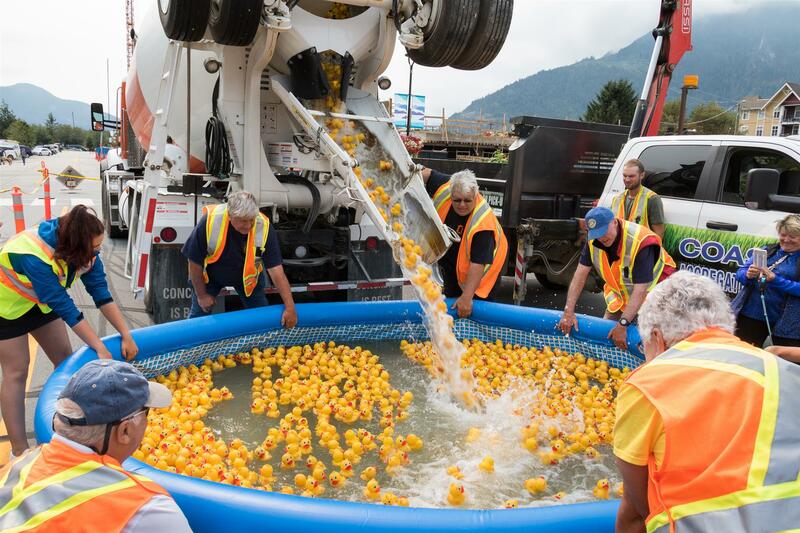 On August 12th 2018, during the Squamish Street Market, the ducks were loaded into a Cardinal Concrete truck and dropped into a pool. 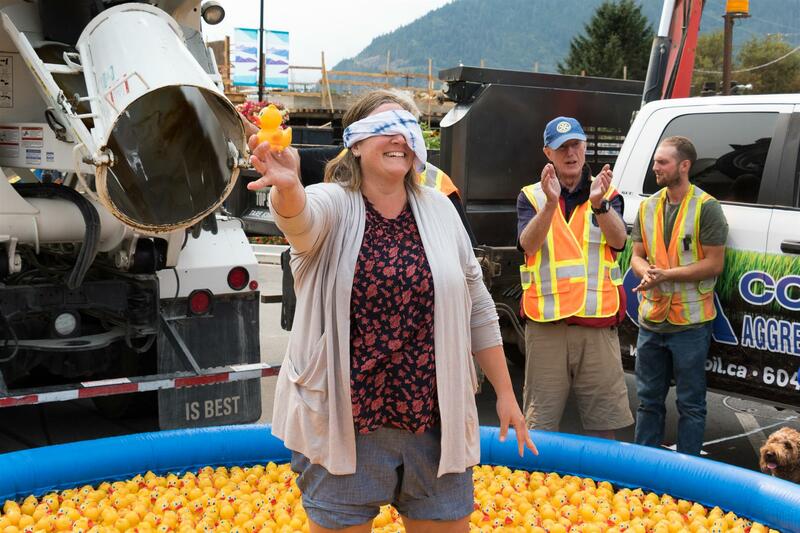 Five winning ducks were plucked out of the pool by blindfolded "duck-grabbers". For more photos click HERE..